Hearing a petition moved by Neveena Kamath, an animal rights activist from Bangalore, a bench of Justice NV Ramana and Justice Mohan M Shantanagoudar issued notice to Wilson V T, the Chief Officer of the Municipal Council, and V George Robert, the contractor who caught and buried the dogs. 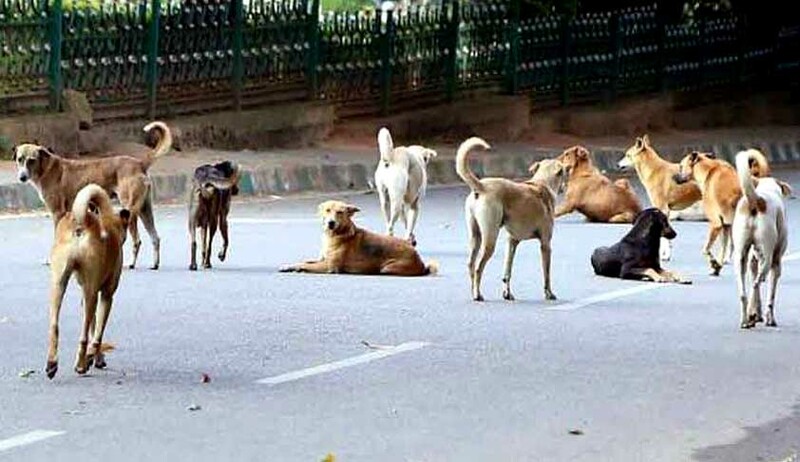 In her petition, filed through advocate Prashant Bhushan and argued by advocate Siddhartha K Garg, Kamath accused Wilson and Robert of wilfully defying the apex court order of November 18, 2015 in the matter titled Animal Welfare Board of India vs People for the Elimination of Stray Dogs & Ors, also known as the ‘All India Stray Dogs’ case directing all local authorities and panchayats to follow strictly the Prevention of Cruelty to Animals Act, 1960 and the Animal Birth Control (ABC) Rules, 2001 and that no “subterfuge or innovative methods” to circumvent the order of the Court will be tolerated. In the instant contempt petition, the petitioner brought to the court’s attention that Wilson had sometime in October last year invited tenders to catch and then relocate stray dogs within his municipality. He accepted the tender submitted by George Robert and gave him work to catch and relocate the stray dogs out of the municipality and finally paid him upon completion of the “illegal and contumacious project”. An FIR registered on the complaint of another animal rights worker in this regard specifically mentioned in the contents that “George Robert had buried 350 dogs at Sakleshpura Cemetery Ground”. The petitioner also relied upon a newspaper report wherein the complainant in the FIR was quoted as saying that he was prompted by the locals about the mass burial of dogs followed by which he visited the site and filed a complaint. Garg said the Prevention of Cruelty to Animals Act, 1960 and the ABC Rules, 2001 prohibit any wanton catching and relocation of stray dogs and only allow catching for the purpose of sterilization and relocation back to the same place where the stray dogs were picked up. “The actions of the Respondents are setting back the progress made in the hearings of the afore-mentioned Special Leave Petition (The All India Stray Dogs case) by years every time they indulge in such blatant contumacious actions. For precious hearing time is devoted in handling their wanton disregard for the law rather than discussing the module for the management of the stray dogs population as submitted by the Animal Welfare Board of India. By their actions, they are undoing all the progress made in the main matter,” said the petition. “…the actions of the Respondents are a direct assault on the sanctity of a judicial order and the majesty of the Hon’ble Supreme Court of India, not to mention they violate several animal protection laws of India. The respondents have deliberately and willfully violated the orders of this Hon’ble Court. If such violations are not dealt, swiftly and sternly, by this Hon’ble Court then it will send a very wrong message to society that the orders of the apex court can be trifled with and there are no consequences for even the most open and egregious defiance,” it added.